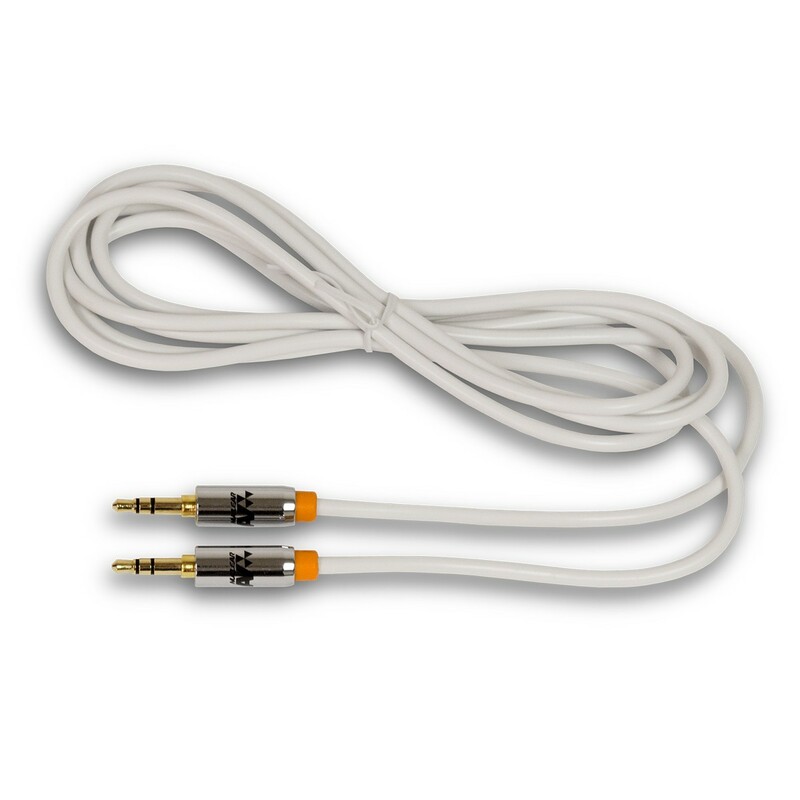 AUX 3.5mm male to 3.5mm male stereo audio cable is designed to connect your audio device to speakers or a vehicular AUX Input Jack. The NuclearAV Meson AUX Cable is an ultra high-end 3.5 male to 3.5mm male stereo audio cable designed to connect your audio device to your speakers or the AUX Input Jack found in many vehicles and car stereos. The Meson Cable quickly and easily connects with iPods, iPhones, Android Devices, Cellphones, MP3 Players, Tablets, Laptops, and Computers with a standard 3.5mm Headphone Jack. The Meson AUX cable features Class Leading Audio Quality and Clarity with minimal loss thanks to its use of audiophile grade 24k Gold Plated connections and EMI/RFI Shielded Oxygen-Free Pure Copper wires. Unlike most cables, NuclearAV's AUX cable features Step-Tapered 3.5mm plug ends which ensures compatibility with most cellphone cases, including many of the bulky "indestructible" style cases. It also features a 6 Foot Cable, the perfect length for sharing your music and connecting to speakers and car stereos. So don't take the risk buying a cheap inferior cable from a no name brand, when the clear choice is the NuclearAV Meson AUX cable for all of your 3.5mm to 3.5mm needs!